Obtained from: Kernel or meat of mature coconuts harvested from the coconut palm 🌴 tree abundantly grown in India 🇮🇳. It exhibits anti-viral, anti-bacterial, anti-microbial, anti-fungal and anti-oxidant properties. The medium chain triglycerides are wonderfully moisturizing and protective for the skin. Stops wrinkles n skin irritation. I use the one I get from our farm, make sure you buy pure unrefined n cold pressed coconut oil like this. Obtained from: Almonds – nuts of Prunus dulcis tree. It has a rich concentration of oleic and linoleic essential fatty acids as well as glucosides, minerals and vitamins A, B1, B2, B6 and E which are essential for skin nourishment. Lightening dark circles under the eyes. Cures chapped lips and body rashes. Effective in treating skin disorders including psoriasis, dermatitis, and eczema. It also helps relieve irritation, inflammation and itching. It is similar in composition to the oil baby’s excrete to keep their skin and hair healthy and is a wonderful oil for baby 👶 massages. It has a natural SPF around 5. Buy pure unrefined n cold pressed sweet almond oil like this. Obtained from: Seasame seeds – seeds of Sesamum indicum plant. Seasame oil is highly nutritious and lubricating in nature. It is rich in vitamin E, D and B-complex which makes it effective enough to reduce scars and other rashes on the skin. Natural sunscreen: Applying it prevents sun ☀️ tan. Heals skin: Applying sesame oil on cuts and wounds helps heal them faster since the oil contains anti-bacterial properties. Due to its good anti-inflammatory properties, it also helps in curing several skin conditions like psoriasis and eczema. Helps moisturise: The oil contains essential fatty acids like palmitic, oleic, linoleic, and stearic acid that makes it a good moisturizer. Apply it on a regular basis to keep your skin soft and smooth. Improves circulation: Since it has high viscosity, the oil can seep deep into the skin and nourish it from within. If you want glowing skin, opt for regular sesame oil massage that will improve blood circulation and repair damaged skin cells. Anti-aging: It has an anti-oxidant known as sesamol that prevents the appearances of wrinkles and small pores in skin. Reduces the appearance of age spots. It’s the most used massage oils in Ayurveda, the traditional healing system of India 🇮🇳! 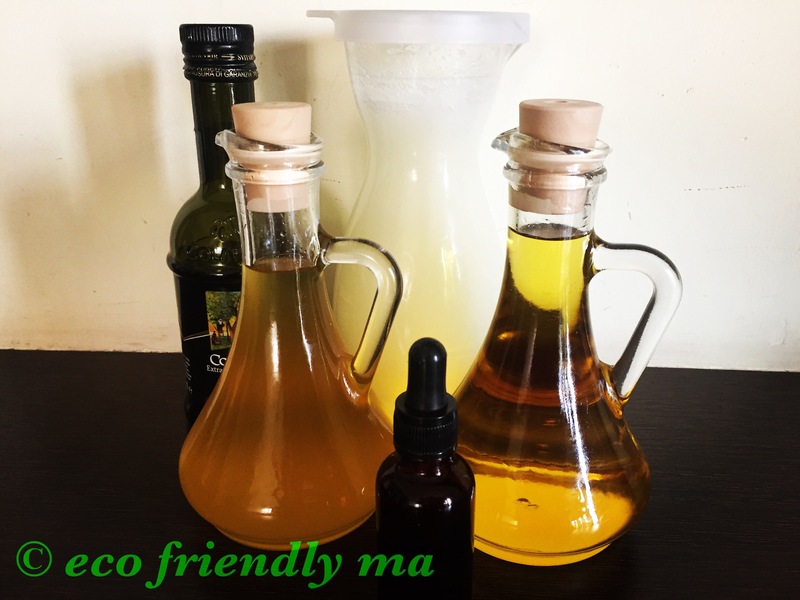 Buy pure unrefined n cold pressed seasame oil from organic stores in bulk as it can be used for cooking too (stir frying)… I use prakruthivanam brand and it’s awesome or try this. Obtained from: Olives – fruits of a small tree Olea europaea found mainly in the Mediterranean regions. Antioxidant Protection: Olive oil contains three major antioxidants: vitamin E, polyphenols, and phytosterols. Antioxidants, when topically applied, may help protect the skin from premature skin aging. Vitamin E partly accounts for the anti-aging benefits of olive oil because it helps restore skin smoothness and protects against ultraviolet light. Hydroxytyrosol, a rather rare compound found in olive oil, also prevents free radical damage to the skin. Buy pure extra virgin olive oil like this. Obtained from: Jojoba oil is the liquid that comes from the seed of the Simmondsia chinensis (jojoba) plant, which is a shrub native to southern Arizona, southern California and northwestern Mexico. It is naturally rich in vitamins and antioxidants including A, B1, B2, B6, E as well as Myristic Acid (which provides its anti-inflammatory properties), Plant Wax (mimics skins collagen) and protein. It is a light oil that is easily absorbed. It mimics the skin’s sebum, tricking it to produce less oil. It exhibits anti-bacterial, anti-inflammatory and anti-oxidant properties. It helps to control acne and oily skin, protecting the skin. It helps to prevent stretch marks. It can also assist with the treatment of many skin conditions, such as dermatitis, eczema, psoriasis and skin inflammation. Buy pure unrefined n cold pressed jojoba oil like this. How n when to apply?